Mr. Blackburn founded Blackburn Group, Inc. in 1991 as a company specializing in marketing products and services for the risk, insurance, and claim management fields. At the time of the company’s inception, Mr. Blackburn designed and developed a specialized risk and claim management information system with associated services called RiskPro® to analyze and manage an organization’s operational and human resource risks. Mr. Blackburn has also served as an advisor for several professional service companies to develop e-commerce platforms in a variety of related industries. The enterprise risk and insurance management project values have been over $1 Billion. 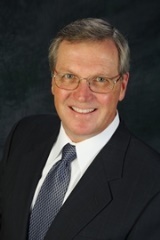 Mr. Blackburn has over 40 years of experience with enterprise risk management and insurance claim settlement solutions. Blackburn Group, Inc. manages over 8,100,000 claims valued at over $580 Billion in the firm's data warehouses, and is one of the leading independent providers of Enterprise Risk Management and Insurance Claim Settlement Solutions worldwide. Prior to founding Blackburn Group, Inc., Mr. Blackburn established and managed a risk management and retention company for a private international conglomerate. As Vice President and Chief Operating Officer, Mr. Blackburn successfully developed and managed the strategies for the combined company assets, of over $2.5 Billion and $500 Million in annual sales in the aviation and real estate industries. Additionally, he successfully grew the company earnings to over $2 Million annually and $20 Million since its inception. The present value at the time of his departure from the company was over $30 Million. Mr. Blackburn has held senior management positions at Home Properties, Inc., Deloitte and Touche, LLP, Wilmorite, Inc., Citibank, N.A., Page Avjet Corporation, and Harris Corporation. Additionally, Mr. Blackburn has served as an advisor and consultant to FM Global Insurance Company and other insurance companies doing business on a worldwide basis. Mr. Blackburn graduated from St. John Fisher College in Pittsford, NY in 1978 and has completed graduate studies at the University of Rochester Simon Business School. Mr. Blackburn has recently served as a risk management guest lecturer at both institutions and has also served as a guest speaker at numerous risk and claim management industry and media events. Claim and Litigation Management Processes, January 1995. Enterprise Risk Management Development, February 1995. The Risk Management Program Development Methodology, April 1996. The Benefits of Establishing a Captive Insurer or Other Alternative Risk Finance Vehicles, June 1996. Image Management in an Integrated Enterprise, September 1996. The Growth of Internet Commerce in the Alternative Risk and Insurance Business, February, 1997. The Limitations of the Traditional Approach to Risk and Insurance Management, May, 1997. The Benefits of N-tier Applications in Managing Risk, February 1998. The Need for Reduced Risk Costs and Improved Quality, July 1998. The RiskProManual for the Enterprise, February 1999, 2000, 2001, 2002, 2003, 2004, 2005, 2007. Management of Risks for the New Millennium, January 2000. The New Insurance Distribution Model, June 2001. Global Risk in Today’s Business Environment, July 2001. The Risk Management Network - Straight through Processing for an Interconnected World, July 2001. Biometrics – How they are changing the World of Operational Risk Management, October 2001. September 11th has changed Everything in the World of Risk Management, November 2001. Security Risks – How Organizations are responding to New Vulnerabilities, November 2001. Risk Management for Real Estate and Retail Businesses, December 2001. Confronting the Risks – The New Utility Organization, January 2002, September 2003. The Risk Report, Home Properties, 2002-2008. Six Key Risk Management Strategies for 2009, Various National Newsletters, January 2009. The RiskPro Monthly Newsletter, January 2009 to present. Various Articles and Presentations for Enterprise Risk Management and Claim Settlement Solutions, January 2010 to present.